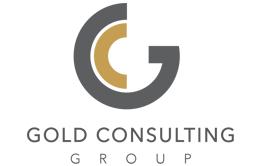 The Gold Consulting Group has been providing individuals and their families with gold and silver products and custom-tailored retirement services for nearly 20 years. We help our clients protect and grow their wealth by guiding them through various options involving physical precious metals. A relationship with the Gold Consulting Group assures investors that they will stay informed with the latest market news and information. Whether you are interested in having precious metals delivered to your home, or would like to protect and secure your IRA or 401(k), Gold Consulting Group has a solution that’s right for you. The primary focus of the Gold Consulting Group is to provide individual investors, the opportunity to invest in a tangible asset portfolio. We tailor investment strategies to meet our clients’ personal financial risk thresholds, protect and preserve equity and grow your investments over time. We are dedicated to understanding investor needs, and protecting the interest of the investor.